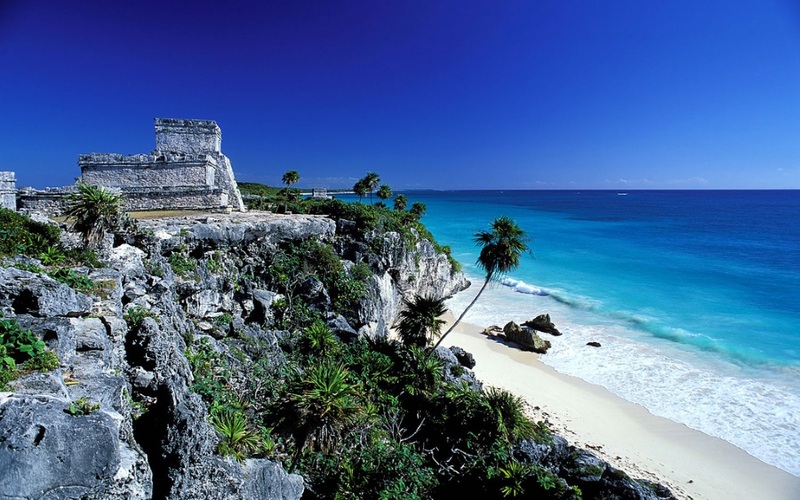 Known as the “Wall”, Tulum is an archeological park in the coast of Yucatan Peninsula, located in the city of Tulum. 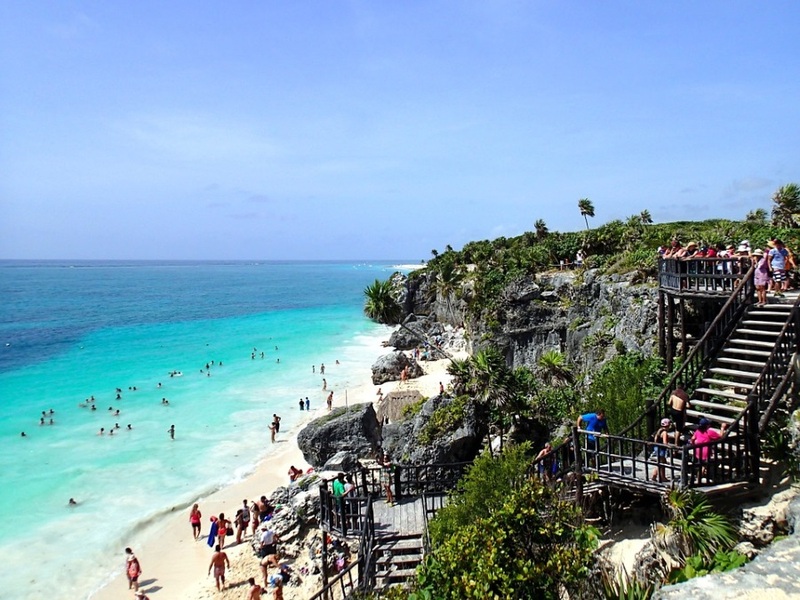 Tulum was built late in the thirteenth century, during what is known as the Mayan post-classic period. 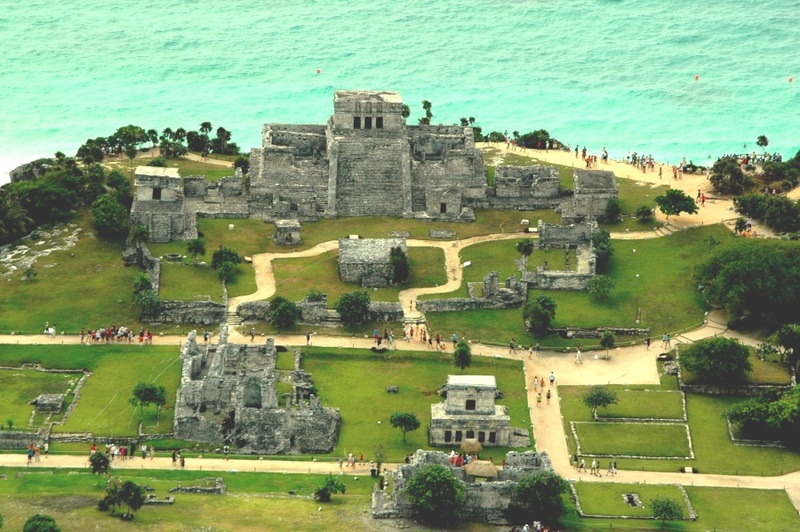 In the ancient Maya era, Tulum was a sea port, which main commercial activity was the turquoise and jade. 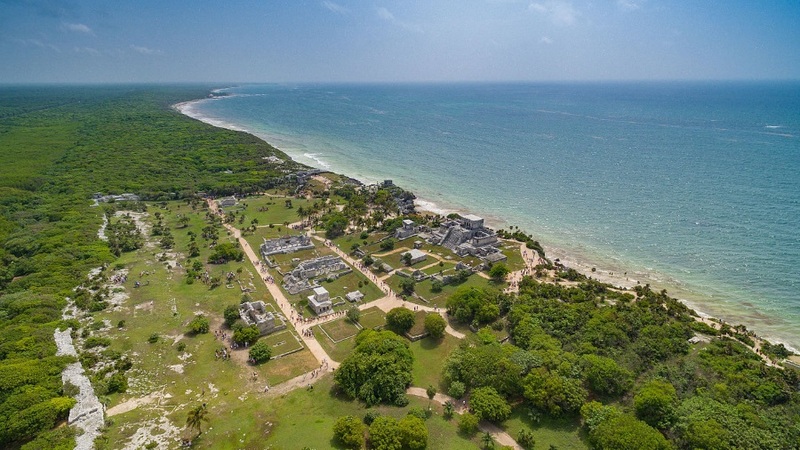 Surrounding by walls that protected it against invasion, was protected on one side by steep sea cliffs and on the other by a wall; the wall was about eight meters thick and 400 meters long on the side parallel to the sea. 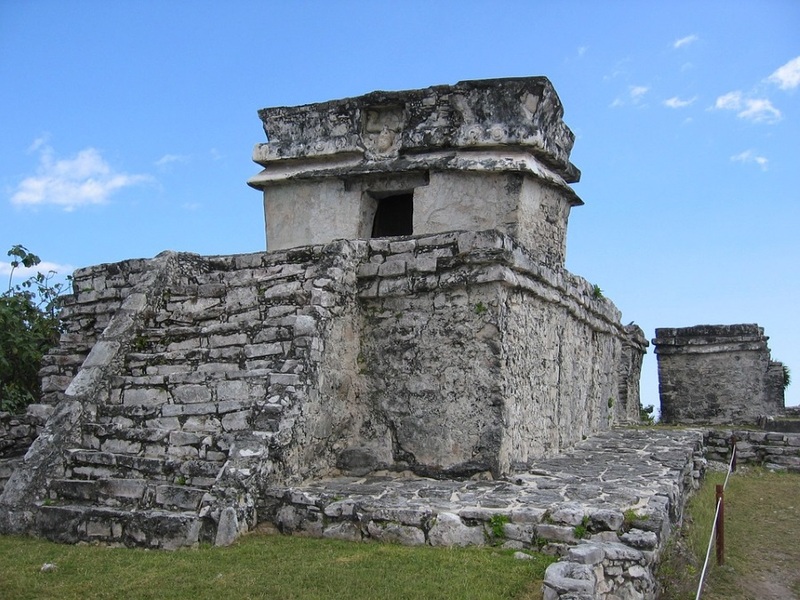 That averaged about three to five meters in height; this shows how important defense was to the Mayan people. 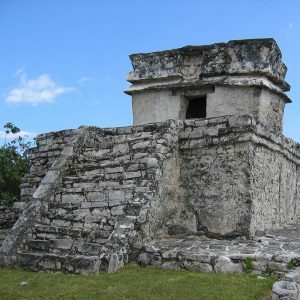 There are also small structures used as watch towers showing again how well defended the city would have been. 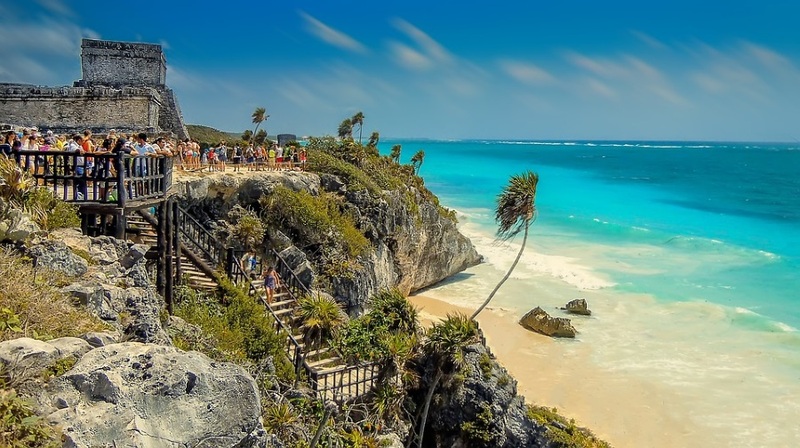 Tulum is the perfect place for those who want a small adventure, where you can discover the traditions, secrets and wonders of Mayan culture and enjoy of the natural beauty and refresh blue waters of its little Caribbean beach. 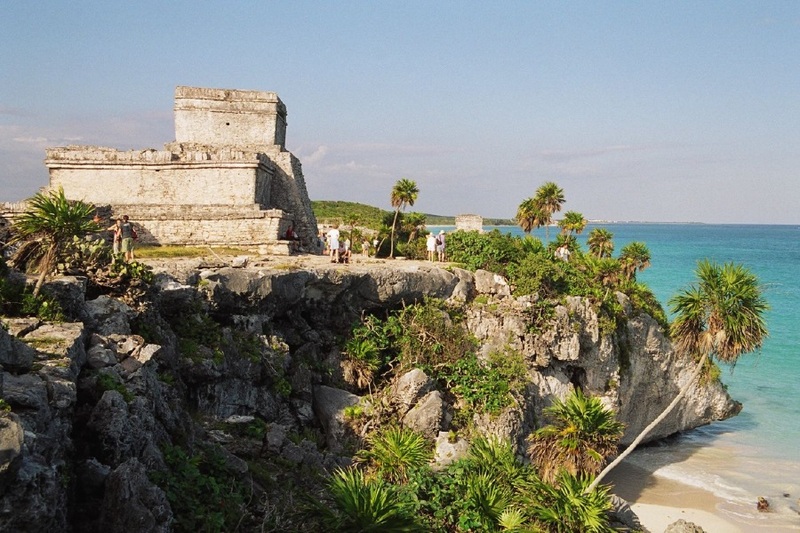 In the central precinct is the Castillo, which is 7.5 meters tall. 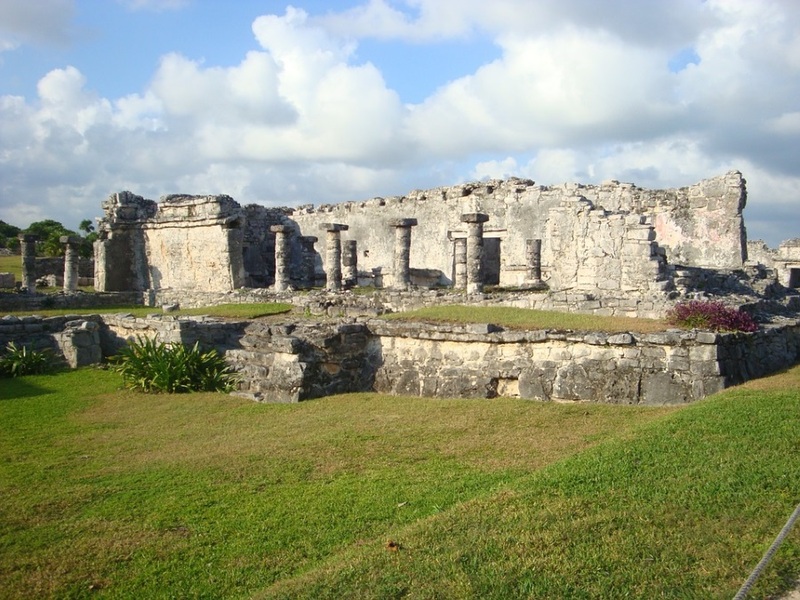 The Castillo was built on a previous building that was colonnaded and had a beam and mortar roof. 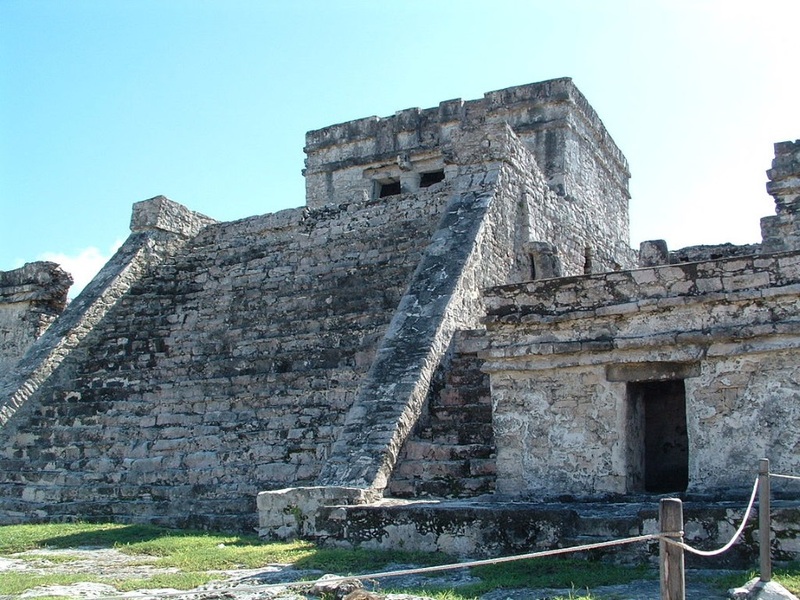 The lintels in the upper rooms have serpent motifs carved into them. 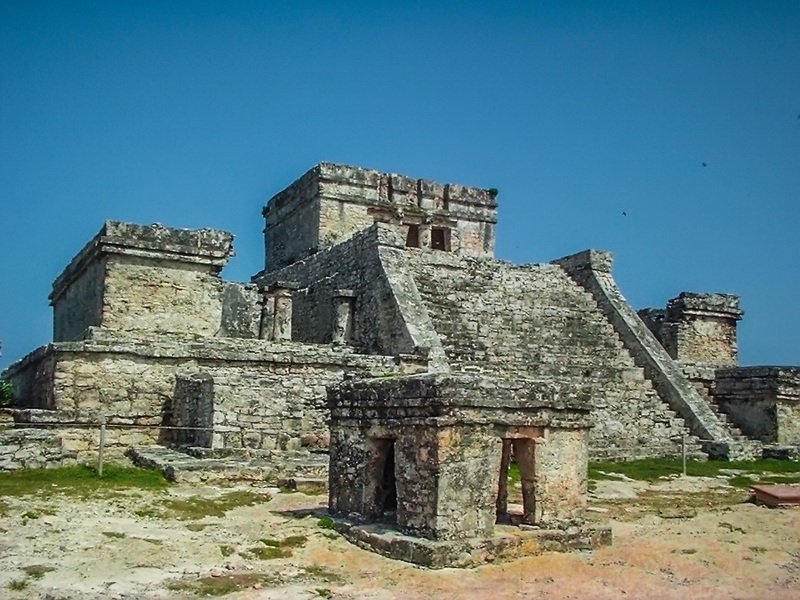 The construction of the Castillo appears to have taken place in stages. A small shrine appears to have been used as a beacon for incoming canoes. This shrine marks a break in the barrier reef that is opposite the site. 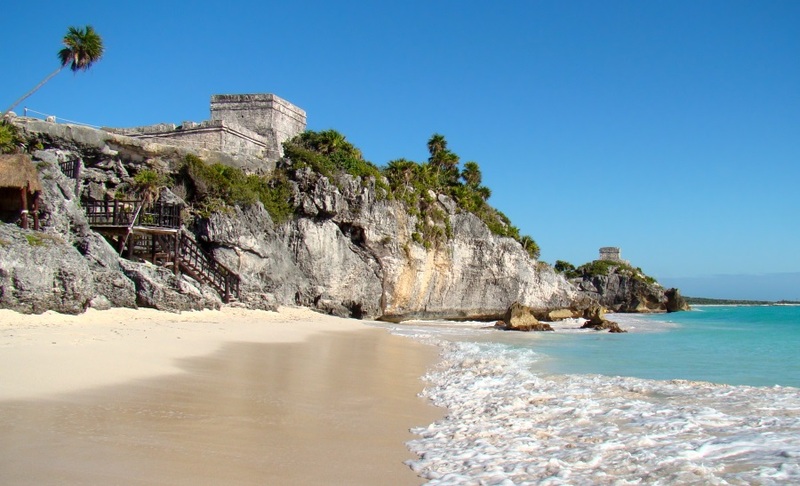 Here there is a cove and landing beach in a break in the sea cliffs that would have been perfect for trading canoes coming in. 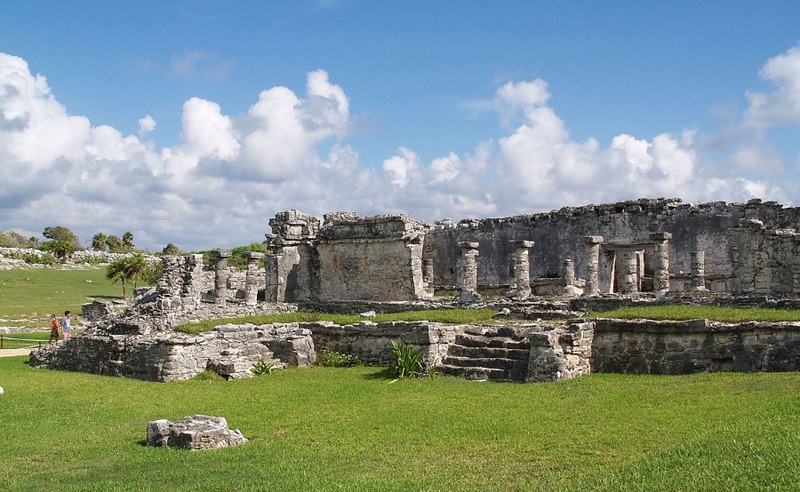 This characteristic of the site may be one of the reasons the Maya founded the city of Tulum exactly here. 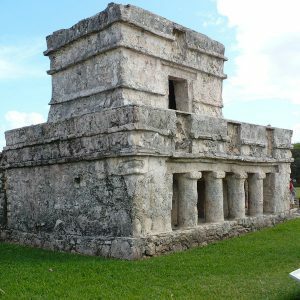 Among the more spectacular buildings here is the Temple of the Frescoes that included a lower gallery and a smaller second story gallery. 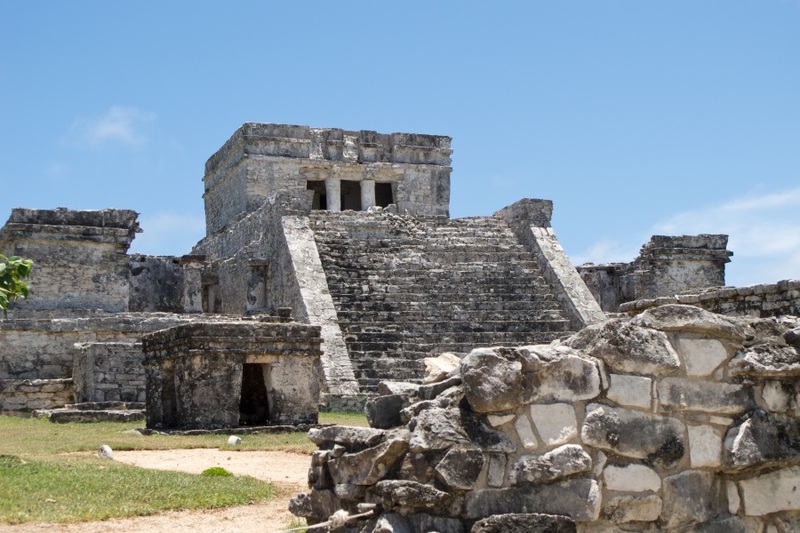 The Temple of the Frescoes was used as an observatory for tracking the movements of the sun. 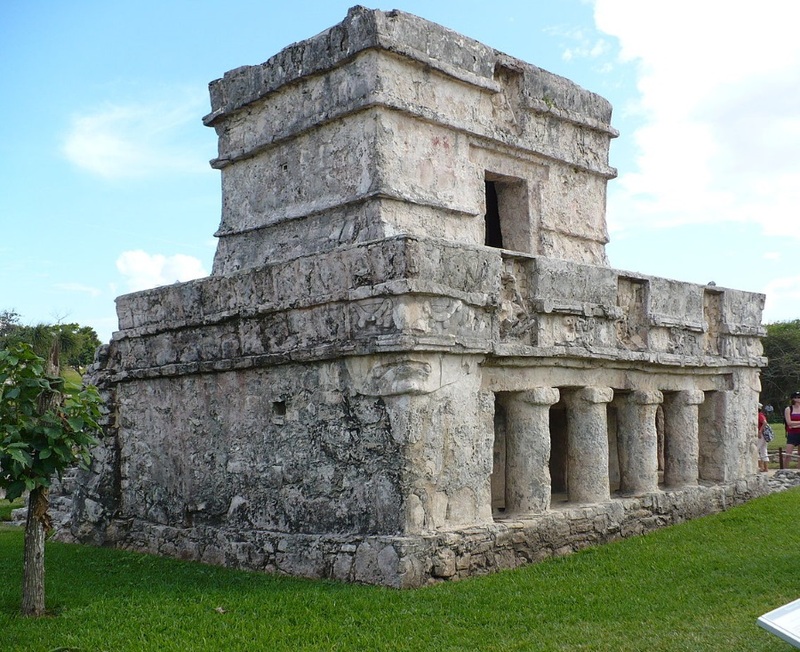 Niched figurines of the Maya “diving god” or Venus deity decorate the facade of the temple. This “diving god” is also depicted in the central precinct of the site. Above the entrance in the western wall a stucco figure of the “diving god” is still preserved, giving the temple its name. 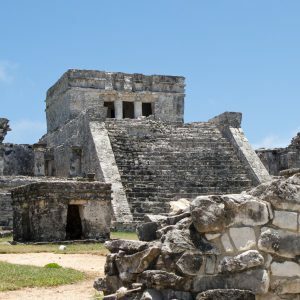 A mural can still be seen on the eastern wall that resembles that of a style that originated in highland Mexico, called the Mixteca-Puebla style, though visitors are no longer permitted to enter.